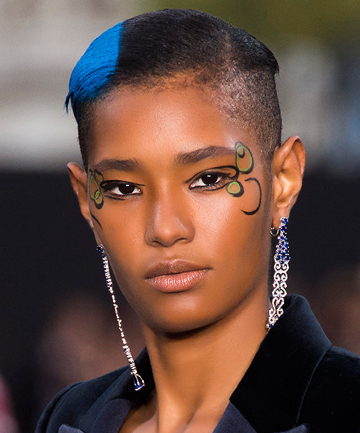 Festival season is the perfect time to experiment and try out new things: It's the time to explore your artistic side and go for intricately bold beauty looks inspired by the runways. There are so many gorgeously vibrant styles to choose from; from dip-dyed periwinkle bangs to multi-colored painted lips. Keep reading to see some of top picks — you never know, you might just find some new signature looks to wear to all your favorite music festivals!